Raising money for The Brain Tumor Foundation for Children! 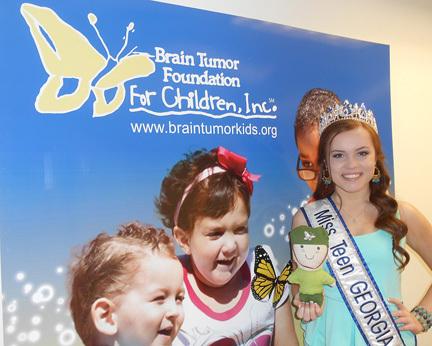 May is National Brain Tumor Awareness Month and Miss Teen Georgia American Beauty 2013, Lauren Debranski will be hosting a beauty pageant to raise money for The Brain Tumor Foundation for Children in Woodstock, GA.
Supreme. All participants will receive a crown! Email ldebranski@comcast.net for entry form or questions. Please email or call (770) 926-4540 if you have any questions on how you can help! Thank You!